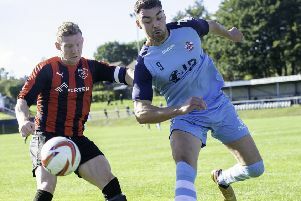 Dewsbury Rangers earned an impressive 3-2 win away to Alwoodley Reserves in Yorkshire Amateur League Division One last Saturday. Rob Smith struck after 20 minutes, with Connor Langford netting on the hour and Darren Dewick scoring Rangers’ third 15 minutes from full-time. Norristhorpe bounced back from three straight defeats in Division Four to defeat St Bedes Reserves 2-0. Matty Taylor slotted home a cross to put Norristhorpe 1-0 up at half-time and having created further chances after the break, Brendan Soulsby headed home the second to seal a victory in which Jack Holden was MoM. Dewsbury Ranges Reserves maintained their revival with a goalless draw against North Leeds Reserves. Division Five leaders Savile United were held to a goalless draw by bottom side Leeds City Fourths. Savile still need two points from their remaining three matches to secure the title. Batelians maintained their promotion hopes and still have an outside chance of catching Savile United to claim the title following a 2-1 win over Modernians. Rob Hiscox scored Batelians’ first with a free-kick into the bottom corner . The second goal came when Nigel Collins reacted when the goalkeeper put the ball down to kick it upfield and he nipped in to cheekily slot home what proved to be the winner.